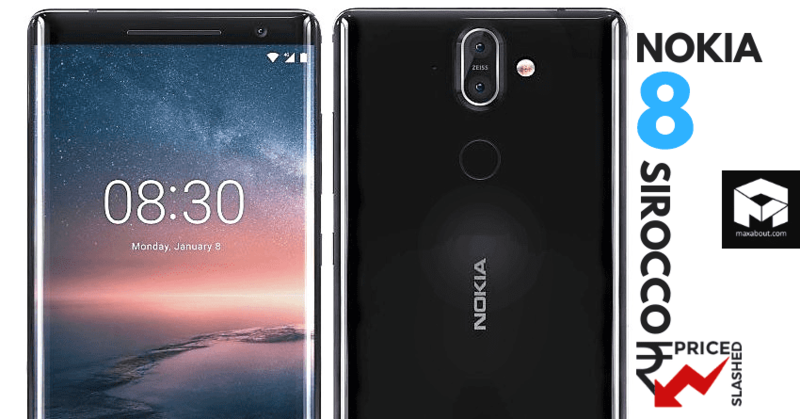 Nokia 8 Sirocco, the flagship smartphone from HMD Global, is now available with a massive price cut of INR 13,000. 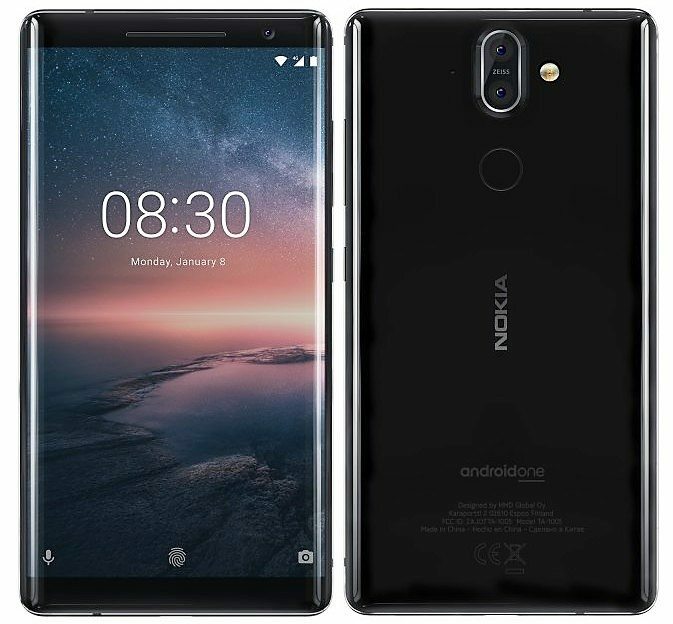 The phone was launched in India for INR 49,999 and the suggested price is now INR 36,999 on the official website of Nokia. Amazon India is further offering INR 2100 cash discount on the smartphone. You can click here to buy the Nokia 8 Sirocco for INR 34,900 on Amazon. Available only in Black body shade, the Nokia 8 Sirocco is an eligible rival to the best-selling product, OnePlus 6. The phone measures just 7.5mm in thickness and come with Android Oreo as the stock operating system. The single variant comes with 6GB of RAM and 128GB internal storage. Performance loving fans will feel delighted to have the mighty Snapdragon 835 processor on their side through the Nokia 8 Sirocco. Above all, the unique design and 5.5-inch pOLED display with gorilla glass 5 protection makes Sirocco a great option in compact sized devices. It comes with 3260 mAh battery with support for wireless charging. 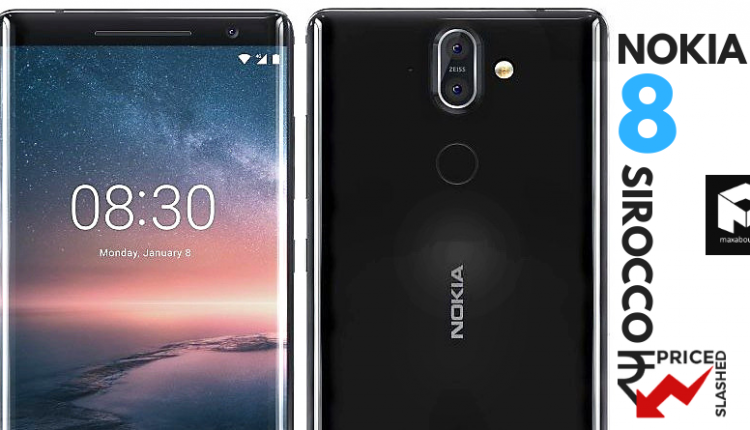 Nokia 8 Sirocco is water and dust resistant, uses a 12MP rear camera with 13MP supporting sensor and USB Type-C connectivity.